Creekwood is nestled in a large wooded area in Lorain Country, Ohio. As the name suggests creeks line most holes as well as several lakes and ponds. This course is beautiful year round and always in terrific shape due to the rigorous maintenance. 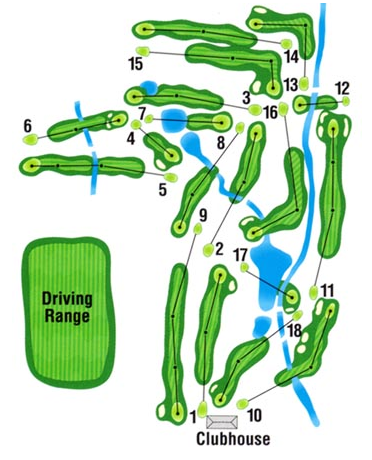 There is a fair amount of hazards and water becomes a major factor in holes number 2, 5, 6, 10, 12, 16 and 17. Most holes allow a fairly open shot from the tee, however; there is a few bottlenecks where accuracy is needed to maintain a decent score. This course is for anyone with an average score of 36-60 for nine hole's.